The bounce rate of a website shows you what percentage of users leave your website after visiting an individual page. The bounce rate of your website is the percentage of single page visits to your websites: when a user just visits one page of your website without navigating further, this will be calculated as a 100% bounce rate, as only one request to the server is registered. Generally, the bounce rate is seen as one of the most important KPIs for optimizing your user experience and content, and it is an important ranking factor for Google. It gives you an indication of whether the user’s intent was satisfied or not, and, combined with the average time on page, helps you to draw conclusions on the usability and attractiveness of your website. 1. It’s an individual page with no sub-pages or outbound internal links: In this case, the web analysis tool will not register further page loads unless the user reloads the page. Other tracking methods can be used (for example event tracking or download tracking) to analyze user interaction on this page. 2. Wrong implementation of the tracking code: Every analyzing tool works with a tracking code that has to be integrated into the source code. Implementation errors can lead to the bounce rate being measured to high. 3. Poor page design: If the users on your web-page do not find what they are looking for when scrolling, they are likely to leave the website without navigating further. In this case, restructuring the website can reduce the bounce rate. 4. Poor content: If a website has only been optimized to achieve a high ranking, this could lead to a high bounce rate as the visitor may not find enough information about the topic they are looking for. Is a High Bounce Rate a Bad Sign? Whether the high bounce rate is a bad sign or not depends on many different factors, such as the page structure and the type of website. If the homepage is the starting point for sub-pages on your website, such as product pages, and the success of your website is based on users visiting multiple pages, a high bounce rate on the homepage is not a good sign. However, for websites such as a blog, a high bounce rate of over 80% won’t be very noticeable, and will not have a particular impact on your website’s success. The bounce rate can therefore mean different things in different situations! In general, a high bounce rate should not necessarily be seen as negative. Even a visitor who only calls up one URL of your website can be valuable, as long as they interact and engage with the content on your page. Nevertheless, a high bounce rate often leads to concern. In order to assess the quality of your content and the bounces, you should define what qualifies as a bounce for your page, for example, a bounce could be visitors who leave the page within the first 10 seconds. You can set an automatic event that will be triggered in your Google Analytics tracking after the user spends of certain number of seconds on the page. 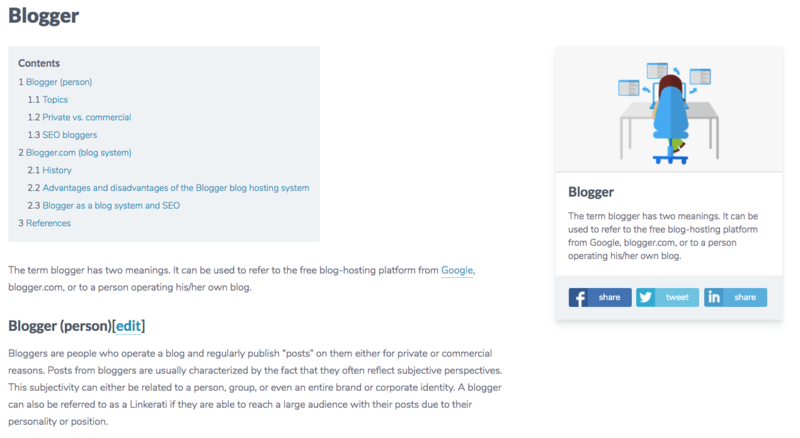 The effect of permanent monitoring and optimization of the bounce rate can be seen in an example from the suxeedo Online Magazine: In July 2015, an article about content seeding was published on this blog. It steadily ranked better and better over time, but its ranking suddenly deteriorated without the editors making any changes to the text. In response to the slowly increasing bounce rate, a user engagement optimization of suxeedo was performed. Share and Like buttons were introduced, the readability of the text improved by the integration of new graphics, and the internal links strengthened. This improved the bounce rate, and it soon got back to the initial ranking values. To further reduce the bounce rate, a video was produced to better clarify the claims and arguments cited in the article. This increased the traffic and the bounce rate dropped again, now reaching its lowest point. Internal links are among the most important SEO factors, and they also have a significant impact on the bounce rate. Even when the users are on the landing page, they may not find the content they were looking for. If you have several links that lead to related sub-pages, you increase the chance of bringing the user’s search to a successful conclusion and, at the same time, providing them with a wide range of choice. User-focused content is key to lowering the bounce rate. Articles and texts should be clear and well-structured in plain language to give the reader a good impression and a useful overview of the content. Long text blocks should be avoided, and you should have a clear structure with paragraphs and subheadings that make reading easier. Bullet points, graphics, videos, and quotes can also help to portray complex issues. A table of contents at the beginning and a conclusion at the end of the article are vital, particularly with longer texts. They also allow readers with little time to gain an insight into the topic and the potential learnings. It may also be useful to formulate some headers as questions. A good user experience also includes a clear navigation and clear website design. The user must be able to immediately and instinctively find their way around the website, and find it visually appealing. All headings should therefore be clearly structured and graphically pleasing. An informative page that is unnecessarily complex, and unclearly portrayed will not be successful in the long term. When creating or optimizing a website – as with the creation of content – you always have to think from the user’s point of view. What needs does the user have, and how can the design meet them? These include easy-to-read, attractive fonts as well as a consistent corporate design. In addition, the site should be compatible with all popular browsers to minimize errors in the display. Complex design elements and memory-intensive formats are reflected in the website’s loading speed. What’s the point of the most appealing interface when its loading time exacerbates the user’s patience? Broadband connections mean that users expect fast loading websites; a slow loading website will therefore cause impatience among your users. Using Tools like Google PageSpeed Insights or RYTE Website Success Module allows you to measure the speed of the website across devices. 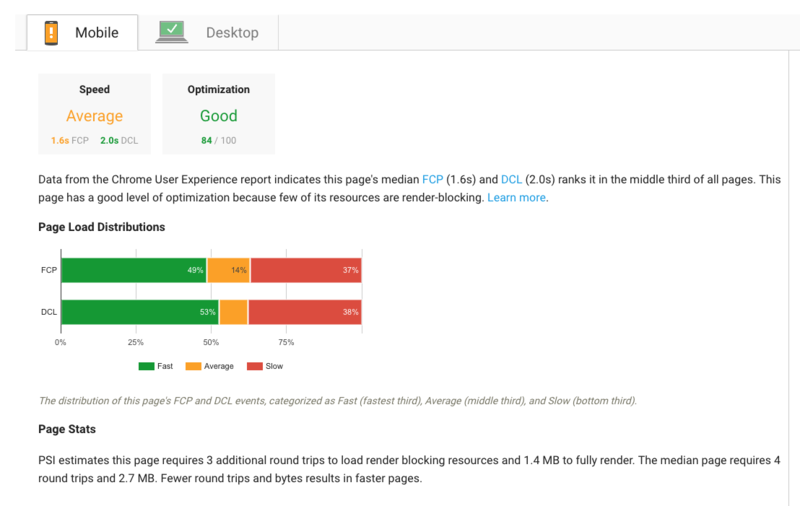 Figure 3: Google PageSpeed Insights Tool dashboard. The longer a page takes to load, the higher the bounce rate, because users won’t wait around. On a side note: Google has also declared page speed to be an official ranking factor. Page Speed as the official ranking factor. 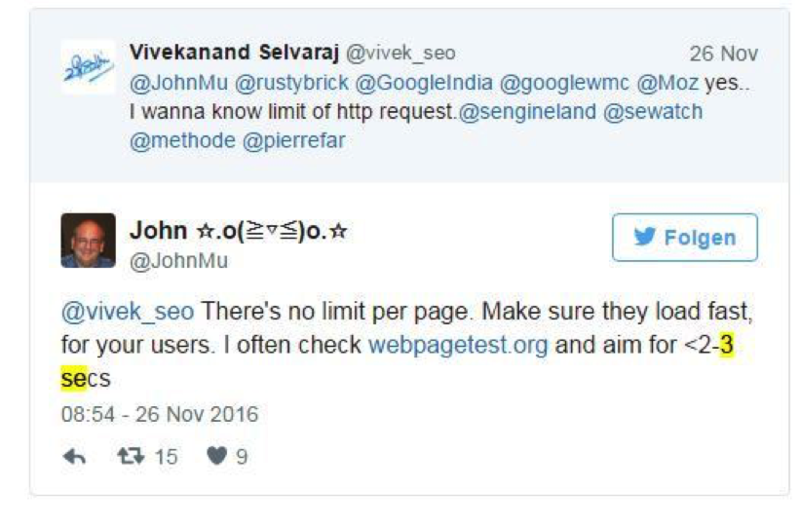 In 2016, John Mueller made a statement on Twitter in which he declared the ideal page speed to be between 2 and 3 seconds. He also points out that the number of HTTP requests is not critical, but rather the loading time. Figure 4: John Mueller’s Tweet from November 2016. Optimization options include image size, browser caching, encoding, and compression. Check out this guide to find more tools that will help increase your page speed. Be careful to only use keywords that really match the content of the page, rather than choosing keywords primarily intended to attract traffic. You should also be careful not to overuse your keyword in texts, as this will make the article more difficult to read, which will lead to bounces. It can also make sense to optimize long-tail keywords, because these visitors usually already have a clear idea of what they are looking for and therefore have lower bounce rates. The increased popularity of Ad Blockers clearly shows that most users have little desire for ads. However, this is something that very few brands can do without – after all, they are often among the most important sources of funding. You should use ads sparingly and wisely to avoid scaring users off. They shouldn’t appear promotional so as not to distract from the website content. You should also avoid using too many adverts. About 70% of users use the internet with a mobile device, and this is an increasing trend. However, it’s still common to come across websites that are not optimized for mobile devices, and users won’t usually have the patience to zoom in to be able to recognize and use text and navigation elements. Google is also highlighting the high importance of mobile-optimized pages with its switch to the Mobile Index last year. To check how well your own domain works on mobile devices, Google has developed a free tool. Starting points for optimization can be resolution, fonts, loading times, or the use of plug-ins. Apart from improving the bounce rate, mobile optimization can also have a positive influence on the ranking in the mobile search results. If you think the bounce rate on your website is too high, there are many ways you can try and reduce it. To avoid the problem of having high bounce rates in the first place, follow these tips when creating content, and not just as a measure to improve your bounce rate later down the line. Small alterations to the algorithm can make a quick difference to the bounce rate. You should therefore regularly check your bounce rate and implement appropriate measures. Published on 02/13/2018 by Fionn Kientzler. Great article! Love the suggested tips. I will definitely implement them into my website content and designs.